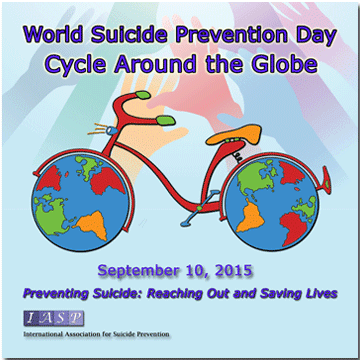 World Suicide Prevention Day is September 10. I can’t suggest that we “celebrate” this. In fact, there’s a part of me that grapples even with the word “prevention”… because, yes, I lost someone I loved to suicide, and I still wonder if it was preventable, and if I could have done something. Not long after my friend took her life, I saw a story about a bridge in Korea that had had lights installed, to prevent suicides. It was an advertising gimmick for Samsung Life Insurance, it won awards, and it left me sitting in the ad agency’s studio where I worked, bawling, (as discretely as I could.) I felt mad and moved and cynical about the manipulation of my emotions by a bunch of ad-men, and full of grief, all at the same time. I mean, a life insurance company? I mean, who cares who does it, if it’s effective? I mean, am I really never going to see her again? South Korea has the second highest rate of suicides in the developed world (after Greenland). And the Mapo Bridge, in Seoul, is a particularly tragic spot. Every year, dozens of people jump to their death. To do something about this, Cheil Worldwide came up with the “Bridge of Life”: a light-and-message system that gets people out of themselves, and seeing the essential side of life again. The company claims the suicide rate has fallen 77% on the bridge as a result. The Sea to Sky Mental Health Partnership and the Sea to Sky Suicide Prevention Working Group are acknowledging the day. If you’re in Squamish on September 23, you can join the 3rd Annual Ride/Walk. Participants will meet at Brennan Park at 4pm for activities, bike decorating, door prizes, guest speakers and refreshments. In Whistler, people will gather at the Whistler Public Library, 5 – 6:30pm, for interactive drop-in activities, art displays and info booths from Child and Youth Mental Health, Crisis Centre, Whistler Community Services and others. Yama Yoga will host two karma yoga classes, at noon and 7:30pm, to benefit prevention efforts in Sea to Sky. 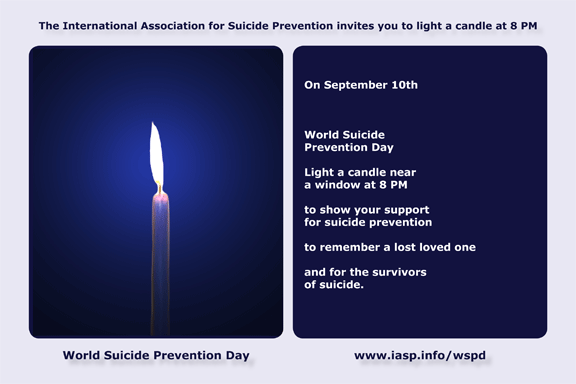 Nothing formal is convened for Pemberton/Mt Currie, but you can acknowledge that, if you have been touched by suicide, you are part of a bigger community than you probably realise, by lighting a candle at 8pm on Thursday, September 10.